Post subject: Typo in one of the endings. Typo with Arabelle_de_Winter, already mentioned here. She gives education about Ice, but in text it is mentioned fire mastery (bring fire elementals). 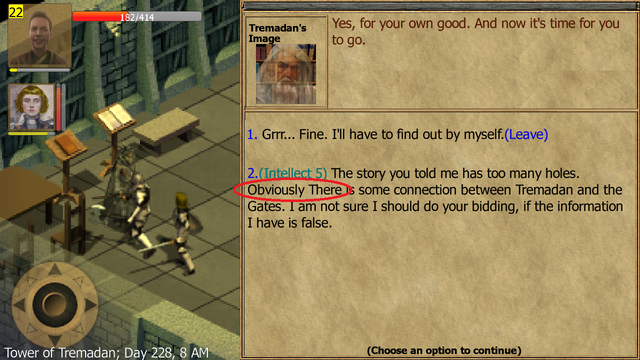 After Tremadan's Image found the location, dialogue triggered by Intellect 5 had a typo of capital letter "Obviously (T)here". Probably the recent update fixed the comma of Gurguth having stun with double comma on warrior. I didn't play Cleric yet, so I don't know if it's fixed or not. But when Hirge is holding the Gurguth Maul, there's still the double comma. On my other post, I also found the similar case. 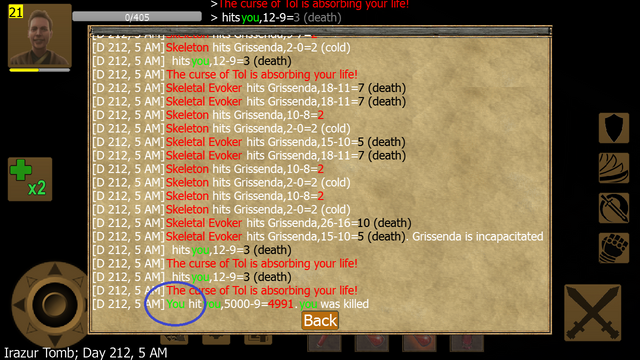 So when Tol instantly kills you, the battle log also shows "You hit You"
Can't believe this hasn't been fixed despite the numerous times I and others have mentioned this. 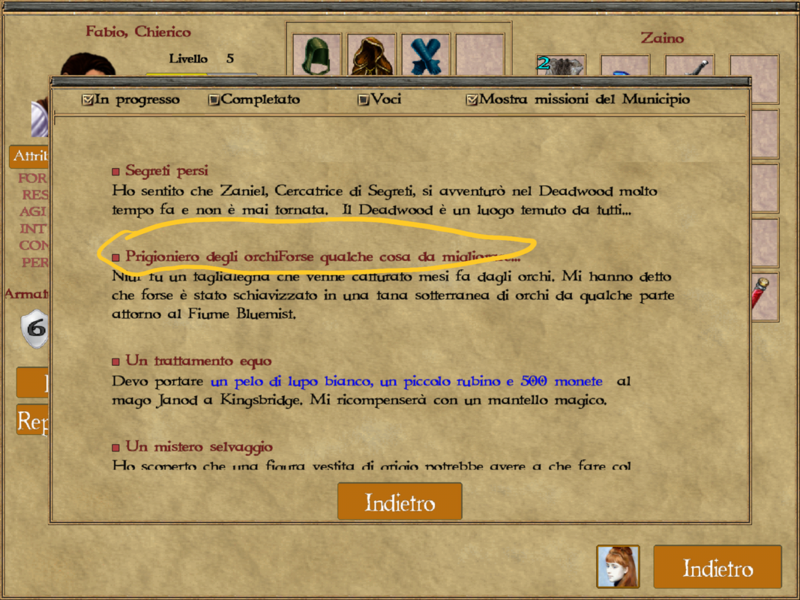 In this quest journal update, Fögas is misspelled as "Föga". 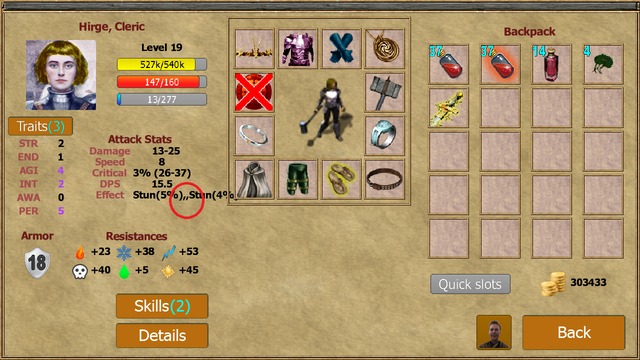 Also very minor point but the license page mentions 85 quests instead of 88. Can this field be somehow linked to the main count (from the Quests total in the game stats) so it always updates automatically? Missing space after the comma in "I'm a messenger,my mission..."
"Something wrong?" should be "Is something wrong?" "The baron and his antecessors" should be "ancestors"
There's also a mistake in the fountain of blood, when you pour water from your canteen but in the text is says you pour some of the blood from your canteen. 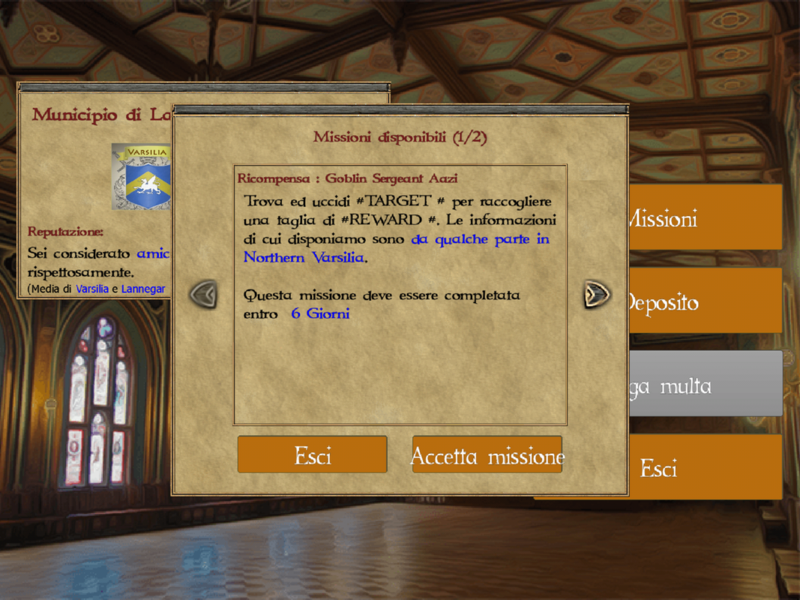 Last thing, not really a typo: if you insist on leaving the castle, Eiranda's maid disappears. There's a minor typo in the 'Contraption'; "It means is possible"